Chairman Rahim Shah, declaring him as robber in Karachi’s Bhens colony area. 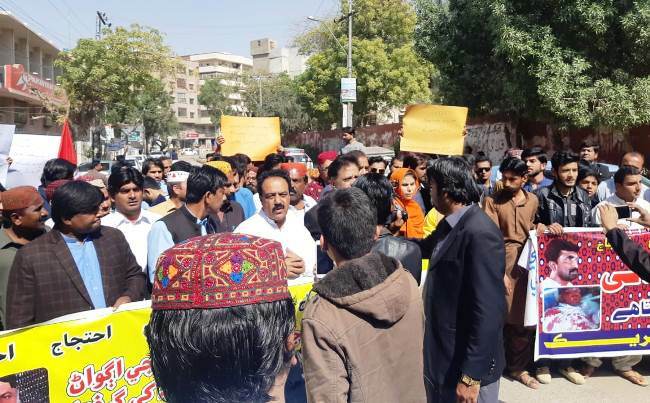 Larkana, Jacobabad and other parts of the province, demanding #justiceforIrshadRanjhani. case against him under anti-terror law. pistol was threatening people not to take him to any hospital. 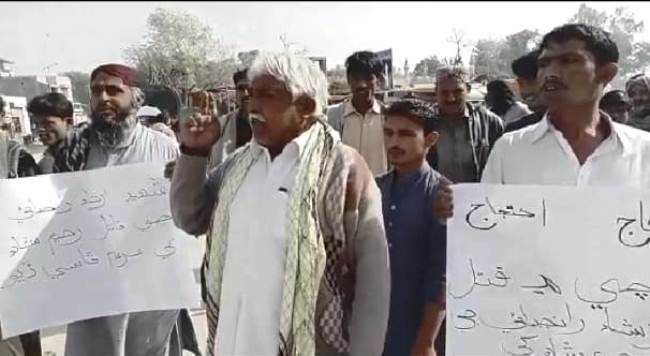 from Civil Hospital Mithiani to Main Chowk and demanded justice for Ranjhani. procession in Dadu against the brutal murder of Ranjhani. 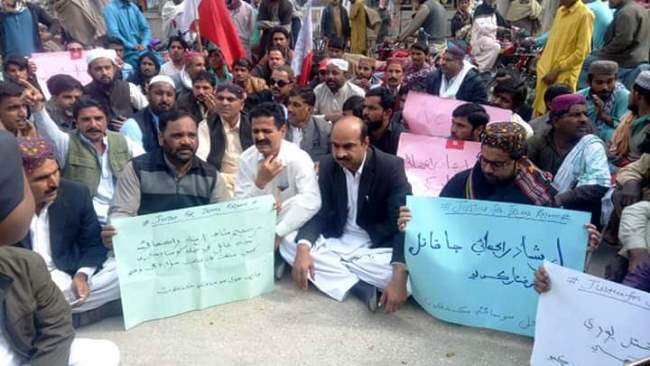 Punhal Sario and others led the rally in Hyderabad. 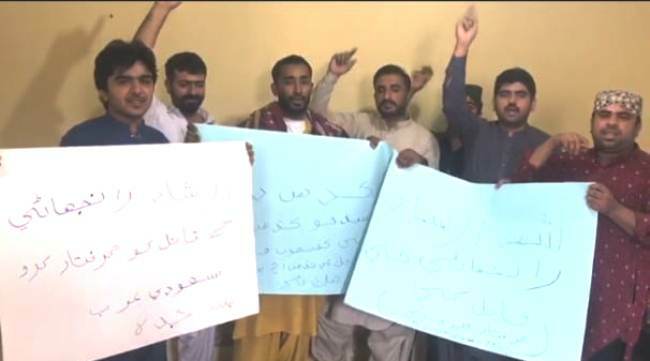 However citizens working in Saudi Arabia held protest demonstration at their home to express solidarity with Ranjhani. 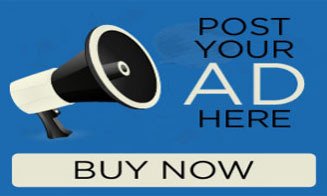 social media, and then people expressed great anger over it. Kaleem Imam and directed him to submit complete of the incident. 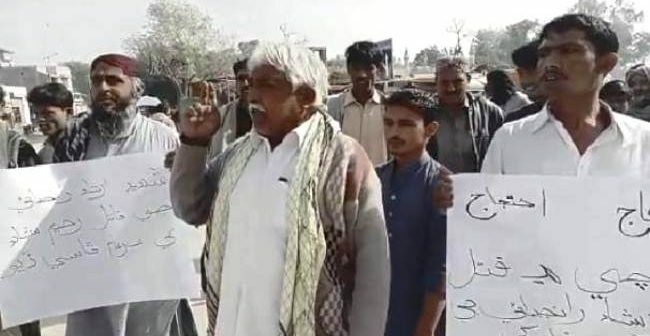 Sindh after that ordered judicial inquiry into the case. Previous ArticleInterfaith harmony “understanding” under threat in Sindh!